Welcome to Castle Party Rentals. This page was specially designed for our St. Charles Illinois customers. As residents of Saint Charles, we will extend an offer of free delivery, setup, and takedown to your St. Charles IL location. Many of our employees live in Saint Charles IL and even more importantly, our business was founded in St. Charles Illinois. We are proud to be a part of the Saint Charles community and hope that you will choose to work with a friendly Saint Charles Party Rental company for all your party rental and entertainment needs. All of the services and equipment that we offer can be found on the left hand side of your screen. Simply click the yellow link that you are interested, and it will direct you to that particular page. If you have any questions, please feel free to contact one of our St. Charles Illinois sales representatives. We offer the most affordable moonwalk rentals in Saint Charles Illinois. Not only do you get free delivery to your St. Charles IL address, but you also get a beautiful moonwalk that will keep the children entertained for hours on end. We have rented moonwalks to many families in the community. Some of our clients consist of Christ Community Church on Randall Road, Saint Charles North High School on Redgate Road, Pottawatomie park on the East Side of St. Charles, etc. For all your Saint Charles Moonwalk needs, please click on "moonwalks and combos" and you will be able to recieve more information such as pictures, pricing, and sizes. We have a great variety of moonwalk rentals for your St. Charles party, so check it out and let the St. Charles moonwalk rental fun begin! Left: Moonwalk pictured was setup at a Saint Charles Illinois customer's house for their party. They rented this St. Charles moonwalk to entertain their friends and family. We also offer a wide selection of Bounce House Rentals in Saint Charles Illinois. Bounce House Rentals are great for birthday parties, graduations, and company picnics. Saint Charles Bounce House Rentals are affordable, fun and safe. All of our St. Charles Bounce House Rentals include free delivery, setup, and takedown anywhere in the St. Charles area. Our St. Charles IL Bounce House Rentals may feature bouncers, slides, climbing walls, and basketball hoops. Right: This St. Charles Bounce House Rental was setup for a young girls princess birthday party. The princess was so thrilled to have a princess castle bounce house! Other people in St. Charles may refer to tent rental as canopy rentals. Either way we know what you are talking about when you ask for our St. Charles Tent Rentals or St. Charles Canopy Rentals. Our Saint Charles tent accessories include tent lighting, tent side walls, tent heaters, tent air conditioning, tent dance floor, tent decor, as well as many other tent options. In order to pick the right tent rental for your St. Charles Party rental, we suggeset that you call give our Saint Charles Party Rental Sales Representative a call at (630)-400-6545. Remember, no tent is too large or to small for our special Saint Charles customers. We also renta a variety of concession machines in Saint Charles Illinois. We stock the following concession machines for all your St. Charles party rental needs. As you can see, we pretty much have every Saint Charles Concession Machine Rental that you would ever need. Our St. Charles Cotton Candy Machine Rental is so delicious and comes with a very cute cotton candy cart. Our popcorn machine rental of St. Charles is very easy to operate and is a great rental items for nearly any kind of party or event. A Saint Charles Sno Cone Machine Rental is refreshing and very fun. A Saint Charles Nacho Cheese Dispenser dispenses variety of different cheeses. The pretzel warmer produced a great tasting St. Charles Pretzel and makes a great side for the hot dog steamer and bun warmer rental. Depending on whether or not you choose to use alcohol, make sure to check out our St. Charles Frozen drink machine or Saint Charles Margarita Machine. Please let us know if you have any questions about any of our St. Charles Illinois Concession Machines for rent. Saint Charles has two high schools meaning that there are going to be a lot of high school graduation parties being thrown. Don't forget that we also do Post Prom Celebrations and promote a alcohol free and substance free environment and party atmosphere. As a St. Charles based company, we would be honored to help you plan your celebration. We provide free consultation and site inspection for our Saint Charles IL customers. I'd like to take a momment to provide some ideas for your Saint Charles graduation parties. Almost every graduation party will require some inflatable game entertainment. In St. Charles, we have a variet of jumper rentals that you can choose from. We rent Sumo Suits, jousting, boxing ring, rock climbing wall, go karts, pony hops, basketball hoops, inflatable twister, human foosball, and much more. Saint Charles is fortunate to have a wide variety of inflatable attractions to choose from. Our latest attraction is the Eurobungy of St. Charles. Make sure to check it out as it would be perfect of a St. Charles IL graduation party. Are you looking for Inflatable Jumper Rentals in Saint Charles Illinois. Then you have come to the right place. Castle Party Rentals is known for its large selection of inflatable jumper rentals to its St. Charles customers. We rent over 100 different inflatable jumper rentals for all your St. Charles IL party rentals. Inflatable Jumpers have many synonyms and may include moonwalk, moonjump, bounce house, moonbounce, jumper, bouncer, spacewalk, inflatable, etc. No matter what you call your St. Charles inflatable jumper rental, it is still lot's of fun and will keep the kids on edge for hours! We invite you to check out our inflatable jumper rentals of Saint Charles online where you can view pictures, pricing, and dimensions. Call for availability on our inflatable jumper rentals! Are you looking for someone in St. Charles that can handle all your huge party rental needs? 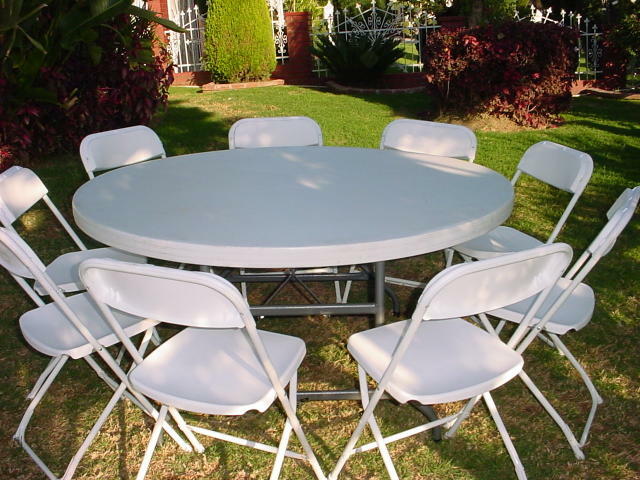 We are the Saint Charles Party Rental super store specializing in moonwalks, tents, tables, chairs, concessions, and various forms or entertainment. Take a look below and you will see that we can entertain all your St. Charles guests! With Castle Party Rentals no event is too large or too small. We have so many St. Charles Bounce House Rentals that you will probably having difficulty picking what kind of St. Charles Bounce House Rental you like. Our St. Charles Bounce House Rentals can be delivered all over Illinois, including the city of Chicago as well as the surrounding subrubs. A popular St. Charles Bounce House Rental is our Mega Fortress Castle Bounce House. It Rents for only $145 for the whole day and we offer free delivery, setup, and take down to St. Charles, IL. Another popular bounce house rental in Saint Charles is the Medieval Castle bounce house. It has very pretty graphics including a prince, a princess, a draw bridge, alligators and much more. Last year, we had our Red Turret Castle Bounce house at the Scare Crow Festival held by the Fox River in Saint Charles, Illinois. Bounce house rentals have been a tradition in St. Charles for many years. We rent bounce houses to the Saint Charles Schools, churches, as well as to private residents. If you live in Saint Charles or if you party is being held in Saint Charles, you will be fortunate to know that we offer free delivery, setup, and takedown. We thank you for supporting Castle Party Rentals and hope to continue to be a special part of the St. Charles community for many years to come! Thank you for visting www.CastlePartyRentals.com for all your St. Charles and Saint Charles Illinois Party Rentals! You can also check out our sister site at www.ChicagoMoonwalk.com. Thank You!